Bulk trucks are a flexible, efficient way to distribute the huge volumes of processed wood required by the bioenergy market and also by the pulp and particle board industries. Although many facilities that require large-scale materials deliveries rely on them being transported by rail, the majority turn to secure their supply via road-based truck deliveries. Bruks Siwertell has developed a unique truck unloading portfolio that focuses on the fastest, most efficient way to discharge both end-dumping and self-unloading trucks, so that onward processing is as effective as possible. The majority of trucks in North America are end-dumping, requiring unique machinery to raise the truck and load so that material free-falls from the end of the trailer. 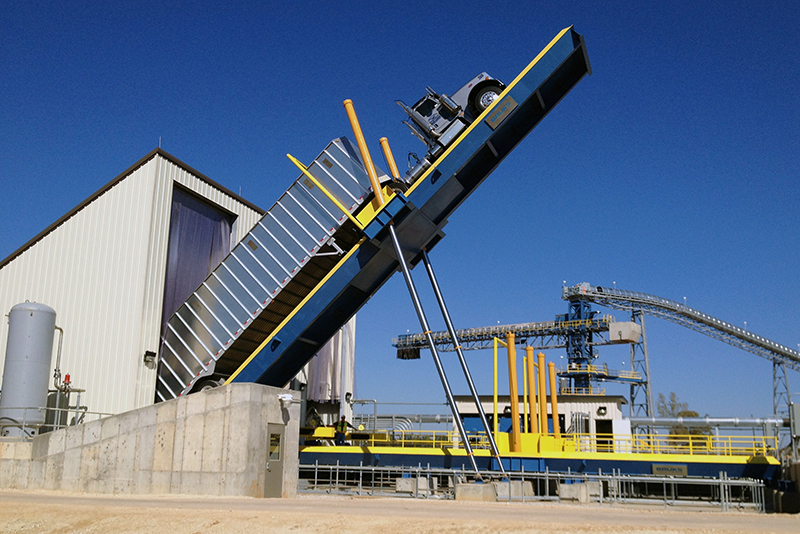 Bruks Siwertell offers two versions of truck dump equipment: a back-on and a drive-over type. 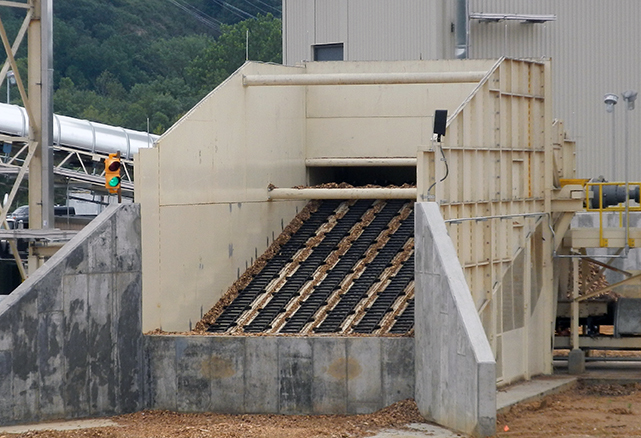 Both the back-on and a drive-over truck dump systems offer excellent cycle times, supporting operations where a receiving facility can process hundreds of trucks a day. They are also well paired with our Bruks receiving hopper. Whatever the truck type, we have system to support it; including self-unloading. These are more widely used in Europe and come in a variety of forms. Versions tip material out from the side and some use ‘walking floors’ to effectively push material out of the back of the trailer. Worldwide, self-unloading trucks benefit from our range of Bruks receiving hoppers, including in-ground versions and variations of these, which are perfectly matched to suit the high efficiency profile of this truck type.